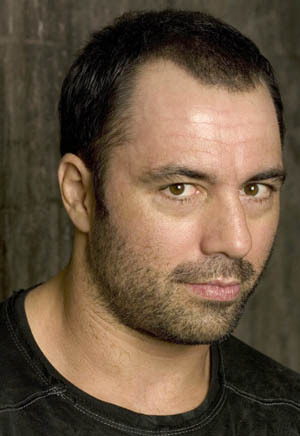 It’s hard to believe it’s already been three years since Joe Rogan’s last comedy album, but he’s now back with “Talking Monkeys in Space ,” released March 30 on the Comedy Central label, which finds him a little angrier and fast-paced in his delivery, although the album clocks in a lot shorter than his last, “Shiny Happy Jihad ” (see review, 4/4/07). The questions also showcase how sharp Rogan is. For all his marijuana advocacy, Rogan is quick, belying the myth of pot making you slow. Almost as if he already had it written, in response to one drug question, Rogan waxes poetic about DMT, a natural psychedelic produced by the human pineal gland, and how it wipes your mental slate clean after taking it. Rogan may not play up an outlaw nature like Kinison did, but his tone and outlook still are directly inspired by the man, although the material does diverge toward his own obsessions. And even with a three-year wait for this album, Rogan has cut down the time between discs/specials [“Talking Monkeys In Space” is also out in a DVD version ]. He’s got a lot to offer to stand-up fans, and with “Fear Factor” off his plate, he may come out with all of it a lot more often.